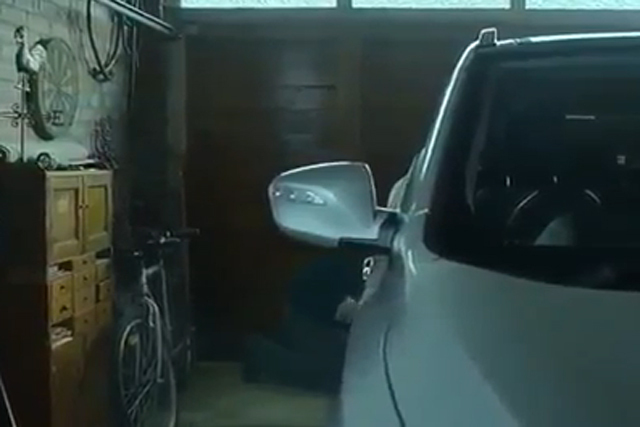 Hyundai Europe has been forced to issue an apology and pull an online ad that shows a man attempting to kill himself in his garage by carbon monoxide poisoning. The ad, which was released on Facebook and YouTube, was intended to highlight Hyundai's green credentials and shows the man failing in his suicide bid because of the car's "100% water emissions". The ad for the crossover Hyundai iX35, which was titled "Pipe Job", was created by the European arm of Hyundai's in-house agency Innocean Europe. The controversial ad was highlighted by blogger and copywriter Holly Brockwell who wrote about her powerful reaction to the ad that evoked memories of the suicide of her father who killed himself in a manner similar to that depicted in the ad. In a piece written as an open letter to Hyundai Brockwell wrote that she "shook so hard that" she had to put down her drink and started to cry. "Surprisingly, when I reached the conclusion of your video, where we see that the man has in fact not died thanks to Hyundai’s clean emissions, I did not stop crying. I did not suddenly feel that my tears were justified by your amusing message. I just felt empty. And sick. And I wanted my dad. "I understand better than most people the need to do something newsworthy, something talkable, even something outrageous to get those all-important viewing figures. What I don’t understand is why a group of strangers have just brought me to tears in order to sell me a car. Why I had to be reminded of the awful moment I knew I’d never see my dad again, and the moments since that he hasn’t been there. That birthday party. Results day. Graduation." In a statement Hyundai said it "deeply and sincerely apologises for the offensive viral video" and made clear that the Korean automaker's UK business had nothing to do with the ad, which it said was created by Innocean Europe without Hyundai's request or approval. "It runs counter to our values as a company and as members of the community. We are very sorry for any offense or distress the video caused. More to the point, Hyundai apologizes to those who have been personally impacted by tragedy. Hyundai Motor UK has had no involvement with the video." As a way of explanation Innocean Europe said that the intention of the viral video had been to "employ hyperbole to dramatise a product advantage, culminating in a positive outcome. Clearly, we were mistaken, and we sincerely apologize". Hyundai offices around the world have responded to the ad and condemned it. Hyundai North America said suicide did not merit this type of treatment. "We at Hyundai Motor America are shocked and saddened by the depiction of a suicide attempt in an inappropriate UK video featuring a Hyundai. Suicide merits thoughtful discussion, not this type of treatment." The ad while highly controversial does not appear to be original. It strongly resembles a 2009 Smart car ad that also features a man attempting to commit suicide, but is thwarted by the low emissions of his vehicle.